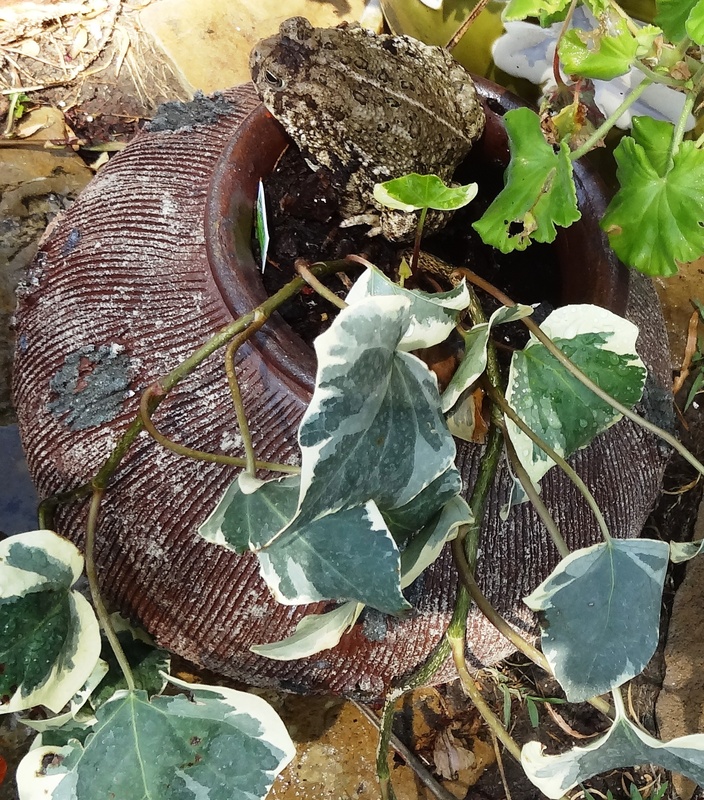 Our friend, Fredrick, who happens to be a beautiful and very friendly frog, is among the many members of our pest control patrol. He is simply delighted with our “No Pesticides” policy and is happy to dine with delight on the delicacies available under and around the front entrance of the school. He lives, unbelievably, inside this flower pot which stays on one of the front steps. And, more unbelievably, he does not disturb the plants he sleeps under and, we do not disturb him (he sleeps during the day). Research has been published from eleven studies which tracked a total of over 222,000 people and found the risk of death from coronary artery disease fell as the consumption of fish increased. Eating fish a few times a month reduced the risk by approximately 11%. Consuming fish two to four times per week reduced the risk by 23%. While consumption of fish five or more times a week reduced the risk by around 38%. Studies have also shown that fish oil lowers numerous risk factors for heart disease, including triglyceride levels as well as blood pressure. And it decreases inflammation. Cold water fish, such as salmon, herring, sardines, and tuna, contain E.P.A. and D.H.A. These reduce the risk of heart attacks and sudden cardiac death caused by electrical problems in the heart. Consumption of fish also reduces the risk of having a stroke as well. It is important to note that fish also contain vitamin D, healthful proteins, selenium, and many other nutrients.